But surely Anna struck a nerve when she said. "And God said love me, love them, and love it, and don’t forget to love yourself." So today I'm sharing something that is very close to my heart , the book "Mister God, This Is Anna" and over the coming months, we shall share many others. It's one of those books that are in danger of being overwhelmed by the crush of new releases. I could have shared an instructional book like the Popular "Purpose Driven Life" by Rick Warren but most of you have read it, or "Men Who Won't Lead, Women Who Won't Follow", which we will review over the coming months but not today. Today, I've chosen to start from the very beginning, (in the hierarchy of Covenant Relationships), since its a very good place to start. Today, Democracy Day (for Nigerians) I want to whet your appetite for this little amazing-no, astounding book that will not only provoke thoughts in people from all walks of life but also help us understand the perception of God through the eyes of a four-year-old little girl who says it like it is. To paraphrase the bit that has stayed with me all these years, "God is like when you hold two mirrors opposite each other and the reflection goes on forever, to infinity." The way children learn and their capacity learn and build their relationship with God. 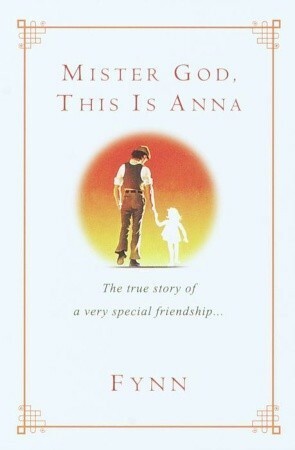 To read Anna's musings about Mister God is something special. Anna had an intimate relationship with "Mister God," and searched for him in all things. I believe she will help you find the child in you and realise how personal your relationship with God really is. Anna was only four years old when Fynn found her on London's fog-shrouded docks. He took her back to his mother's home, and from that first moment, their times together were filled with delight and discovery. Every moment was somehow related to Mister God. When she was 4 years old, Mister God was her friend and companion. But as she grew older and absorbed the beauty and learned new things about the wondrous world around her, you can literally see her eyes growing wider and wider with amazement and admiration of Mister God’s greatness. But Anna’s own uniqueness lay in the fact that she did not stop with wonder. She tried to understand Him in her own way; and boy, did she get much more than any of us ever can! Saying anything more about this book or about Anna will only bring down their value. It can be downloaded online or found in many Christian Bookshops. So go read it!